President Donald Trump on Tuesday May 23 proposed drastically slashing U.S. foreign aid spending in Mexico and Central America, which are struggling with drug violence, graft and poverty that prompts many from the troubled region to migrate north. Trump’s austere 2018 budget proposal, which seeks to trim $3.6 trillion from government spending over the next decade and is unlikely to get legislative approval in its current form, envisages steep cuts in most federal departments, but particularly the State Department, according to Reuters. Ever since launching his presidential campaign in 2015, Trump has attacked Mexico, threatening to rip up the North American Free Trade Agreement, build a Mexico-funded southern border wall and ramp up deportations of those living without documents in the United States. Tuesday’s proposal foresees 2018 Mexican aid of $87.66 million, down more than 45 percent from the 2016 outlay. The proposed spending cuts comes as the United States leans on Mexico to do more to prop up its poor Central American neighbors, where poverty and gangs are the main drivers pushing migrants to the United States. 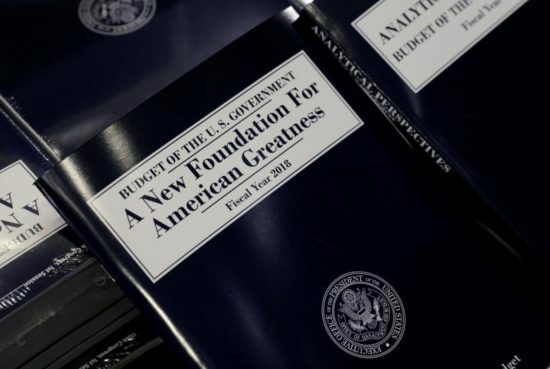 The budget proposes scrapping most U.S. money for the Mexican military, along with counterterrorism funds and some governance programs. Narcotics and law enforcement spending would fall from $100 million in 2016 to $60 million. In Guatemala, U.S. aid would drop almost 40 percent from 2016, to $80.66 million, while in Honduras and El Salvador it would fall nearly a third. In a call with reporters, U.S. officials stressed the cuts would not prevent them from tackling their regional objectives. “That is a reduction. However it really prioritizes our programs that focus on disrupting the activities of transnational criminal organizations, strengthening border security and combating corruption … we’re going to continue addressing those root causes as part of our Central America strategy,” an official said. Mexico, which is struggling with rising crime, will be co-hosting a June meeting in Miami where the U.S. government hopes to drum up more private sector support to improve employment and security conditions in Central America. Although the number of migrants arriving on the southern U.S. border has fallen drastically since Trump took office, history suggests the decline may prove short-lived if he fails to realize his tough policies. Well over 100,000 people have died in drug-related violence in Mexico since 2006, and the 2017 murder tally could be the highest ever as legacy drug cartels splinter into ever more violent factions.